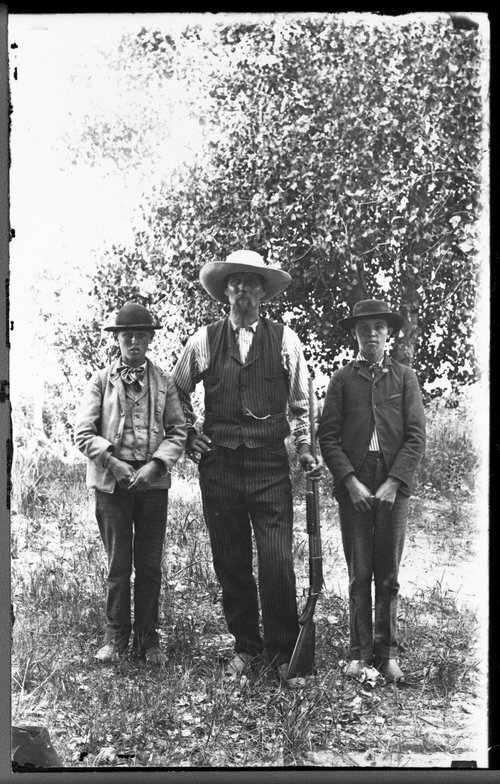 This photograph is of a Sheridan County family group, probably a father and two sons. The father is holding a gun at his side. Sheridan County, Kansas, family group.